Hello lovelies! Today I have a quick bit of nail art to show you. After swatching two new polishes from Crafted Cosmetics (post here), I fell in love with both colours. I thought they might go well together and decided to do some vertical striping. Here's how it turned out. As always, read on for more info and to see how I did it! I started with a base of Crafted Cosmetics 'Mint Green'. I actually had this on as a plain mani all weekend and I'm still loving it. Below is two coats and topcoat. 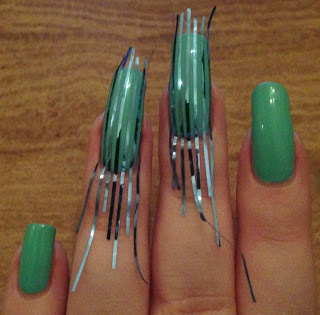 For my stripes, I had planned to use straight nail vinyls - but apparently my envelope of vinyls has disappeared. 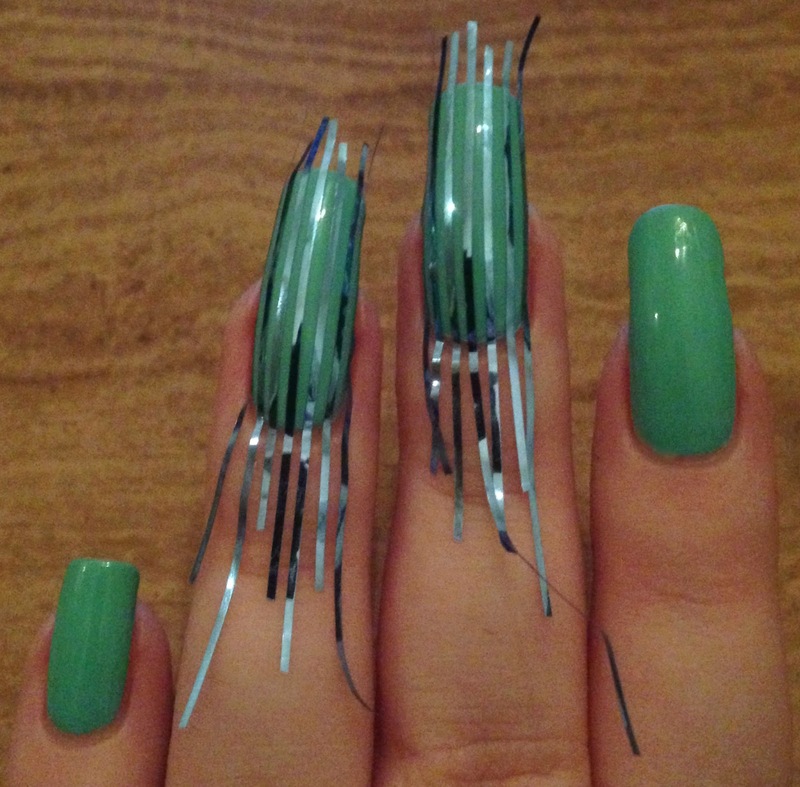 Not wanting to give up (or freehand), I decided to use striping tape. I placed vertical pieces of tape on my middle and ring fingers while trying to keep the spacing as equal as possible. I then painted over both nails using Crafted Cosmetics 'Bubblegum Pink' and peeled all of the tape off straight away. I left this for a couple of minutes before adding my final topcoat, as to not smudge my stripes. What do you think? Both colours are quite bold but I like them together! It reminds me of a circus or carnival - bright and fun! I was considering doing stripes on all of my nails, but I think it would have been a bit much (and it took absolutely forever to line up all the striping tape). The colors do go very well together! Lovely mani! I love this mani! Perfect for spring!